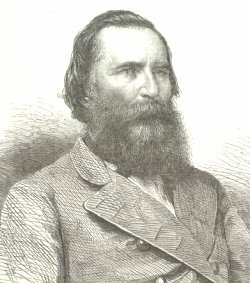 James Longstreet was born on January 8, 1821 in Edgefield District, South Carolina, the son of planter James and Mary Ann (Dent) Longstreet. Raised by his uncle in Alabama and Georgia, the young James entered West Point and graduated fifty-fourth in a class of sixty-two in 1842. He was assigned to various military posts in Missouri and Louisiana until the outbreak of the War with Mexico in 1848. Serving under General Zachary Taylor, Longstreet saw combat at Palo Alto, Resaca, and Monterrey. He participated in several other battles including the decisive Battle of Chapultepec where he was wounded. His gallantry and service won him several promotions, but by 1852, he was still only a captain. 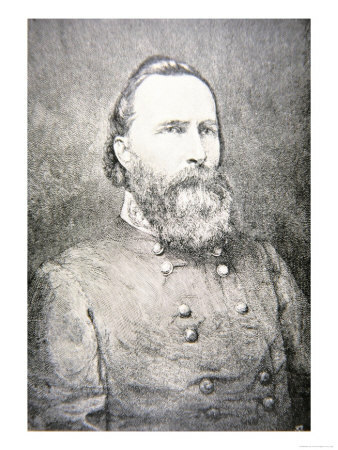 Longstreet was not discouraged but continued with his duties and assignments in Texas, New Mexico, and finally in Washington where he was promoted to major. The coming of the Civil War tested his loyalty which he felt belonged to his native state. 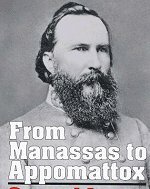 Thus, Major Longstreet resigned from the US Army on June 1, 1861, and offered his services to the new Confederacy. Two weeks after his resignation, the former army major was a new brigadier general in command of a brigade of Virginia and North Carolina troops which he led at The Battle of First Manassas, also called The Battle of Bull Run. A promotion soon followed and Major General Longstreet was assigned to command a division and then a wing of the Confederate army in Virginia. When General Robert E. Lee took command of the army that he renamed the Army of Northern Virginia , General Longstreet was in command of a corps, which he led through the Seven Days Campaign. General Longstreet, or "Old Pete" as he was nicknamed, proved to be an efficient soldier with a keen eye for battlefield tactics . He learned from his experiences on the battlefield and stubbornly applied his trade in every battle to come. General Lee fondly called him, "my old war horse." In the summer of 1862, Lee moved his army northward toward an encounter with Union troops near Manassas, Virginia. 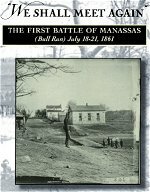 The Second Battle of Bull Run was fought near the same area where Confederate forces had driven the Union troops from the field a year before. This two-day struggle pitted the bulk of the Union forces under General John Pope against the corps of General "Stonewall" Jackson. At the height of the battle, Longstreet moved his corps next to Jackson's position and charged in a vicious counterattack that first turned the Union flank and then swept General Pope's hapless Union soldiers from the field. The brilliant victory gave Lee the chance to invade Maryland and hopefully cause the people in that state to flock to the Confederate cause. Longstreet's troops crossed the Potomac and marched toward Frederick while the Union Army, back under the full command of George McClellan, finally reached Maryland and drove directly toward Lee's then scattered forces. Longstreet's men fought the Battle of South Mountain and again at the Battle of Antietam, where the general was conspicuous on the field. Longstreet credited his troops with holding the thin southern line against the final Union attacks despite being outnumbered and out gunned by Union artillery. His corps was allowed to rest and reorganize briefly before they marched toward Fredericksburg, Virginia in response to the next Union threat. It was the Battle of Fredericksburg on December 13, 1862 where General Longstreet excelled in his use of a defensive position. His troops held high ground west of the city and easily repulsed repeated Union charges. By 1863, Longstreet had been promoted to lieutenant general and was one of Lee's most trusted generals. Though he missed the Battle of Chancellorsville because of military events in southeast Virginia, Longstreet returned to the army in time for the Gettysburg Campaign. With the death of "Stonewall" Jackson after Chancellorsville, General Lee had divided his army into three corps and relied heavily on Longstreet's opinions. The general performed well until the battle of Gettysburg began and critics later accused the general of losing the battle by questioning orders and stubborn delays in beginning attacks Lee ordered. 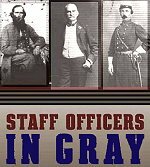 He proved to be as stubborn with his fellow officers as he was with the enemy and paid little attention to the criticisms until after the close of the Civil War, when he stedfastly defended his opinion that flaws in leadership during the campaign had to be shared with other officers, including the untouchable Lee. This opinion would make General Longstreet controversial until the end of his life. That September, General Longstreet was ordered to take his corps to Georgia to assist the Confederate army there under Braxton Bragg. The bloody battle of Chickamauga opened the same day that his troops arrived, and he rushed them into the fight. 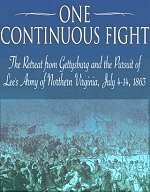 They did not return to Virginia until the following May when Longstreet led them into another battle in an area west of Fredericksburg called the Wilderness. The general was seriously wounded in that battle and the injury kept him away from the army until April 1865. He rejoined the Army of Northern Virginia just in time to witness the abandonment of Richmond and retreat to Appomattox Court House. Longstreet's command held part of the final Confederate line at Appomattox until a flag of truce stopped the fighting. 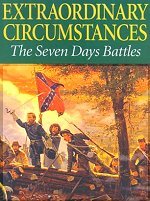 General Longstreet surrendered and was paroled with his troops. After the war, Longstreet moved to New Orleans where he became president of an insurance company and owned a cotton business. 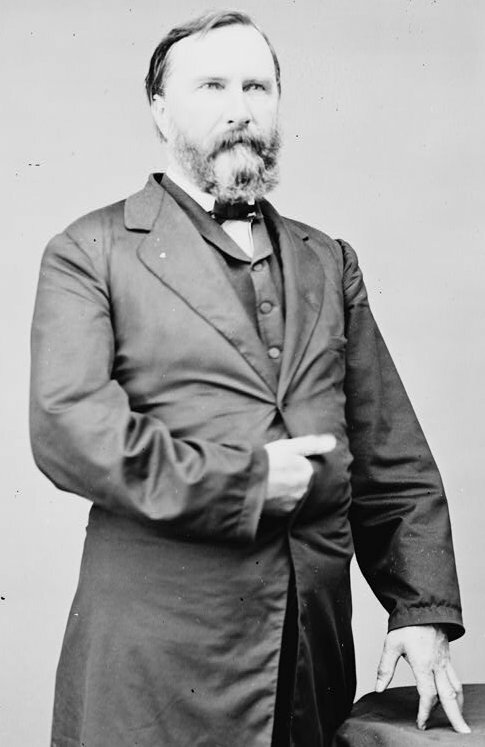 He then surprised many of his friends when he joined the Republican Party, a choice that horrified many southerners who were ardent democrats saw the Republicans as the political party responsible for the war and reconstruction . Some went so far as to brand him a traitor to the southern cause . Despite the slander and accusations, Longstreet actively participated in southern reunions and became friends with many former enemies including General U.S. Grant whose wife, Julia Dent, was a cousin. In 1880, then ex-President Grant used his influence to have Longstreet appointed as U.S. minister to Turkey. Longstreet moved to Gainesville, Georgia and became US marshall for the District of Georgia and later a commissioner for the Pacific Railroad. In his spare time, he wrote articles for popular magazines and eventually published his highly regarded memoirs, From Manassas to Appomattox in 1896. General Longstreet died on January 2, 1904 in Gainesville and is buried there. Despite the controversy which surrounded his leadership at Gettysburg, General Longstreet has been properly remembered with a new monument at Gettysburg National Military Park, dedicated on July 3, 1998. The bronze likeness of General Longstreet stands 300 hundred yards from the location of his headquarters during the battle. Born January 8, 1821 in South Carolina, Longstreet graduated from the U.S. Military Academy at West Point in 1842. When South Carolina seceded from the United States, he resigned his commission with the U.S. Army and was made a brigadier general in the Confederate Army. He fought in the first and second battles of Bull Run near Manassas, Virginia. He commanded troops through the Peninsular Campaign , and at the battles of Antietam , Sharpsburg , Fredericksburg , and Chickamauga , displaying tenacity as well as tactical brilliance. At the Battle of Gettysburg , Longstreet was second in command to General Robert E. Lee , who called him affectionately, "my old war-horse." Longstreet's reputation suffered a blow at Gettysburg, where his delay in the attack known as "Pickett's charge" was blamed by many for the Confederate defeat. Longstreet was later to say that the day of that battle was the saddest day of his life. He had warned Lee that an attack would be doomed to failure, and he grieved over the unnecessary loss of life. Lieutenant General James Longstreet was arguably the finest corps commander on either side during the Civil War. He was severely wounded at the Battle of the Wilderness in Virginia on May 6, 1864, after a successful flank attack that nearly routed the Union army. After being wounded on May 6, Longstreet received appropriate care by John Syng Dorsey Cullen, MD. Cullen controlled the hemorrhage from Longstreet's wound, helped evacuate him from the battlefield, and diligently cared for him during his convalescence. Longstreet was wounded by "friendly fire." The bullet's trajectory and the location of the gunshot wound suggest a posterior wound of entry rather than an anterior one as has been previously assumed. Study of the great bloody battle of Chickamauga that was the last great offensive, although costsly, victory by the Confederates. This is a detailed account of the movements of regiments, brigades, divisions. 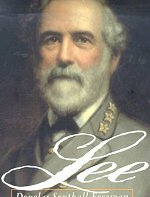 AmericanCivilWar.com's Joe Ryan reviews the issue of Longstreet's relationship with General Lee. 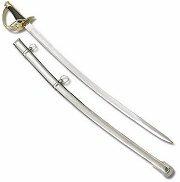 This fine replica is 39 inches overall and features a highly polished 33 inch carbon steel blade. Its leather wrapped handle fits the hand perfectly and sports decorative brass accents and a shiny brass pommel. This Civil War Musket replica has been designed after the original rifle of its era. Measures approximately 37 inches long. Each is constructed with a solid one-piece wood stock, painted steel barrel and die-cast parts. Just before dawn on June 9, 1863, Union soldiers materialized from a thick fog near the banks of Virginia's Rappahannock River to ambush sleeping Confederates. 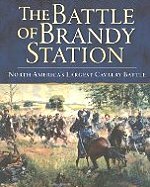 The ensuing struggle, which lasted throughout the day, was to be known as the Battle of Brandy Station the largest cavalry battle ever fought on North American soil. 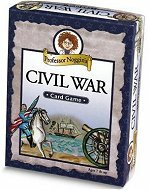 The famous faces and fearsome facts of the Civil War are captured in this 1,000-piece cardboard puzzle for Civil War buffs and serious puzzle fans. 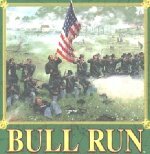 July 21, 1861 The earliest large-scale engagement of the Civil War, the First Battle of Bull Run found J.E. Johnston's outnumbered Rebels fighting a desperate delaying action versus the powerful Union army of Irvin McDowell. It was in this battle that General Thomas J. Jackson earned his famous nickname "Stonewall"
There are about a half-dozen different small arms types, but the Henry is the best for rapid repeating fire and least reloading. The shotgun they give you is useless: you must aim spot-on to affect an enemy, so why not just use the rifle? Grenades are useful at times. 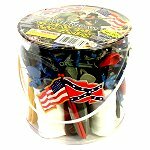 © americancivilwar.com. All rights reserved.